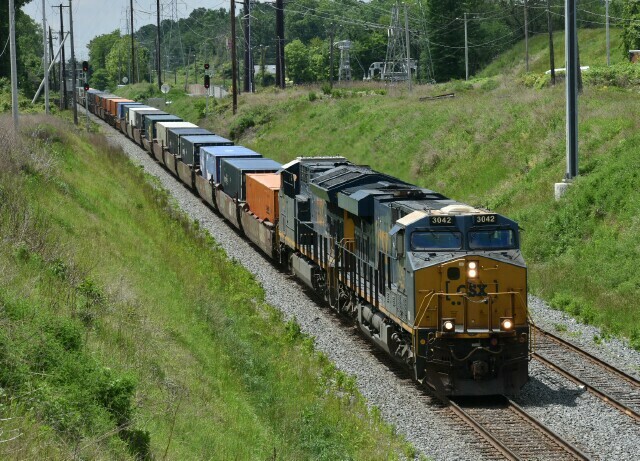 In April 2017, CSX announced a restructuring of operations under new CEO Hunter Harrison. 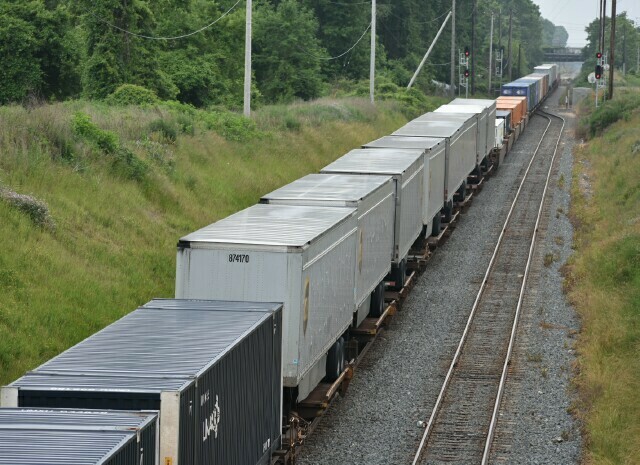 Redundant yards will be closed, dispatching consolidated, surplus engines and cars placed in storage and the number of divisions reduced from nine to two. They are also looking to increase average train speed by reducing the number of trains and stops. 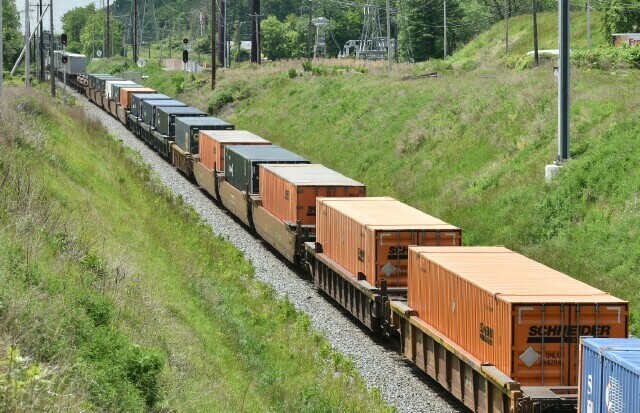 The inclusion of the Tropicana cars from Q740 on intermodal Q140 is one of these changes. Another is the combination of the intermodal trains Q032 and Q034, under running on Q032's schedule as of May 22 2017. The new plan apparently had some hiccups the first week or so, like on May 26. Here Q032 passes CP Berry around its usual time (noon). 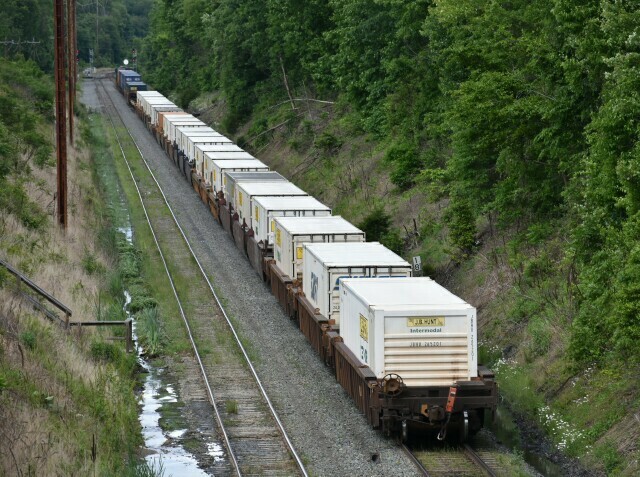 and the rear 13 UPC trailers on spine cars and a couple more containers in wells. But 5:00PM finds a Q034 with 30 single stacks and an empty 5 unit spine car waiting for the signal at CP Nesh. 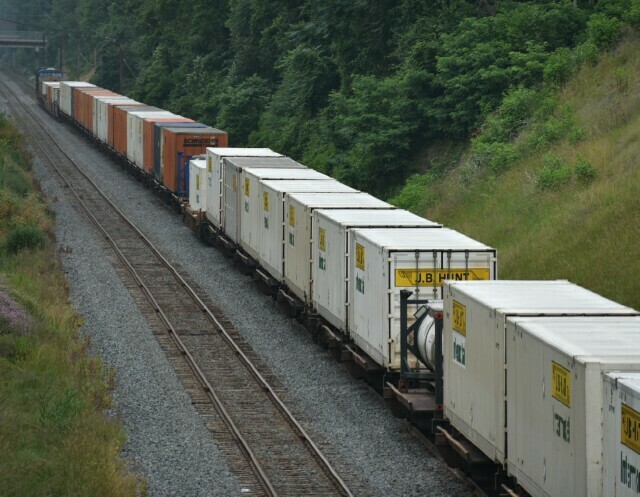 Between the two trains, four engines, two crews and about 75 containers/trailers. A few weeks in and things look like they are on track, literally. June 16 2017 has a much larger Q032 rolling past CP Berry with CSX AC4400CW 599 leading. 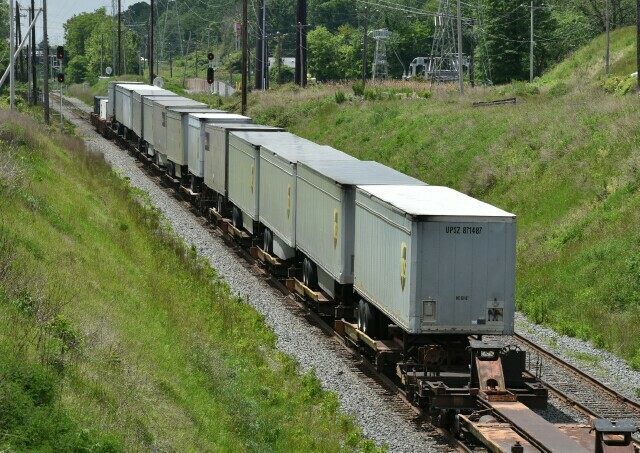 The back half had two cuts of UPS, Fedex and Crowley trailers (8 and 9) separated by 16 single stack containers. 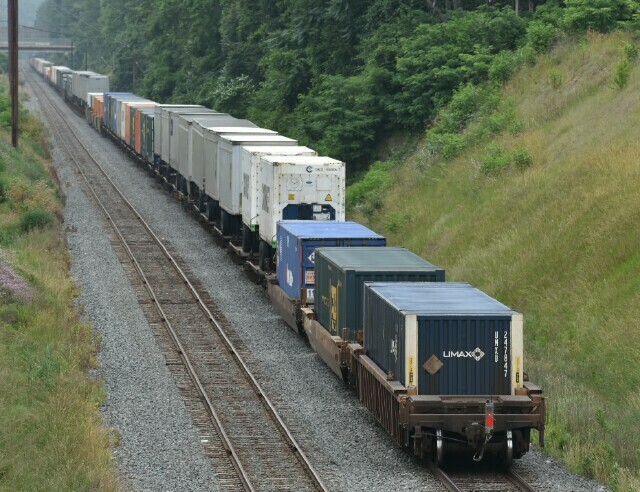 and three single stacks on the hind end, for a total of almost a hundred containers/trailers with two engines and one crew. 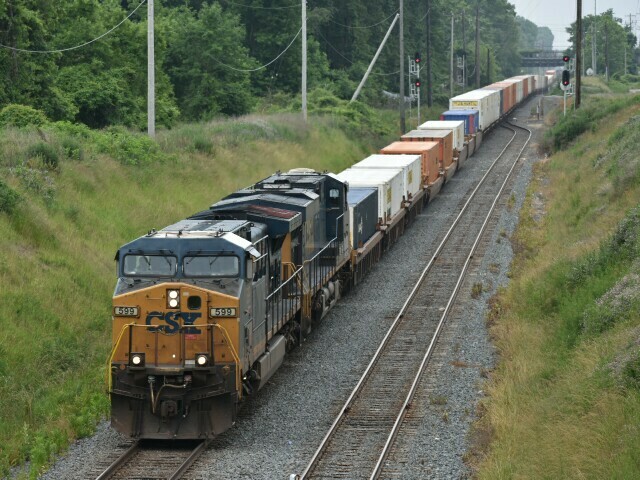 And its priority on the railroad was emphasized when NI dispatcher told a MOW employee looking for some time that she could not give up the track ahead of Q032 if even God asked for it.